Chef – Opscode – looks useful. need to read more. 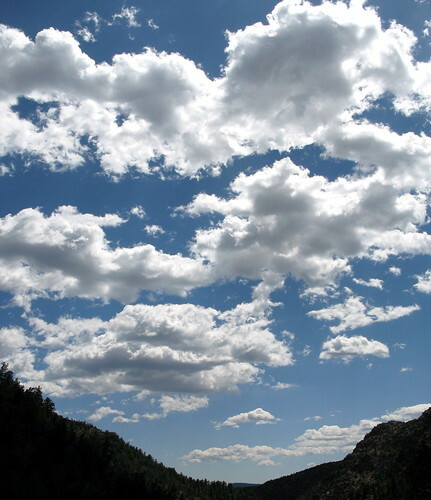 Exa-, Peta-, Tera-scale Informatics: Are *YOU* in the cloud yet? One of the aspects of my job over the last few years, both at Sanger and now at Oxford Nanopore Technologies has been the management of tera-, verging on peta- scale data on a daily basis. Various methods of handling filesystems this large have been around for a while now and I won’t go into them here. Building these filesystems is actually fairly straightforward as most of them are implemented as regular, repeatable units – great for horizontal scale-out. No, what makes this a difficult problem isn’t the sheer volume of data, it’s the amount of churn. Churn can be defined as the rate at which new files are added and old files are removed. To illustrate – when I left Sanger, if memory serves, we were generally recording around a terabyte of new data a day. The staging area there was around 0.5 Petabytes (using the Lustre filesystem) but didn’t balance correctly across the many disks. This meant we had to keep the utilised space below around 90% for fear of filling up an individual storage unit (and leading to unexpected errors). Ok, so that’s 450TB. That left 45 days of storage – one and a half months assuming no slack. lots of clever people want to squeeze as much interesting stuff out of the raw data as possible using new algorithms. They also keep finding things wrong with the primary analyses and so want to go back and reanalyse. Added to that there are often problems with the primary analysis pipeline (bleeding-edge software bugs etc.). As there’s little or no slack in the system, very often people are too busy to look at their own data as soon as it’s analysed so it might sit there broken for a week or four. What happens then is there’s a scrum for compute-resources so they can analyse everything before the remaining 2-weeks of staging storage is up. Then even if there are problems found it can be too late to go back and reanalyse because there’s a shortage of space for new runs and stopping the instruments running because you’re out of space is a definite no-no! What the heck? Organisationally this isn’t cool at all. Situations like this are only going to worsen! The technologies are improving all the time – run-times are increasing, read-lengths are increasing, base-quality is increasing, analysis is becoming better and more instruments are becoming available to more people who are using them for more things. That’s a many, many-fold increase in storage requirements. So how to fix it? Well I can think of at least one pretty good way. Don’t invest in on-site long-term staging- or scratch-storage. If you’re worried by all means sort out an awesome backup system but nearline it or offline to a decent tape archive or something and absolutely do not allow user-access. Instead of long-term staging storage buy your company the fattest Internet pipe it can handle. Invest in connectivity, then simply invest in cloud storage. There are enough providers out there now to make this a competitive and interesting marketplace with opportunities for economies of scale. Most of those I more-or-less take for granted these days. The one I find interesting at the moment is the costing issue. It can be pretty hard to hold one centralised storage area accountable for different groups – they’ll often pitch in for proportion of the whole based on their estimated use compared to everyone else. With accountable storage offered by the cloud each group can manage and pay for their own space. The costs are transparent to them and the responsibility has been delegated away from central management. I think that’s an extremely attractive prospect! The biggest argument I hear against cloud storage & computing is that your top secret, private data is in someone else’s hands. Aside from my general dislike of secret data, these days I still don’t believe this is a good argument. There are enough methods for handling encryption and private networking that this pretty-much becomes a non-issue. Encrypt the data on-site, store the keys in your own internal database, ship the data to the cloud and when you need to run analysis fetch the appropriate keys over an encrypted link, decode the data on demand, re-encrypt the results and ship them back. Sure the encryption overheads add expense to the operation but I think the costs are far outweighed. Author Roger PettettPosted on January 28, 2010 January 28, 2010 Categories hardware, scaling, sysadmin, virtualisationTags biotech, cloud, connectivity, costs, informatics, scaling, sequencing, storage1 Comment on Exa-, Peta-, Tera-scale Informatics: Are *YOU* in the cloud yet?